Instead of hiring glamorous TV stars, some Korean superrich have opted to model for their own business in print or on TV. Commercials featuring big bosses tend to give audience a sense of trustworthiness, not to mention the cost saved. This week, The Superrich Team introduces business chiefs who were featured on the advertisement of their own company. Confectionary-focused Orion Group’s chairman Tam Chul-kon is one of the first business tycoons to appear in company commercials in Korea. In 2006, when the company was preparing to launch a major ad campaign for its flagship steady-seller Choco Pie, he decided to be part of it. Not only did he appear on the commercial, but he also sang the slogan “you don’t have to say it for me,” which became so popular that many Koreans still recognize it instantly. 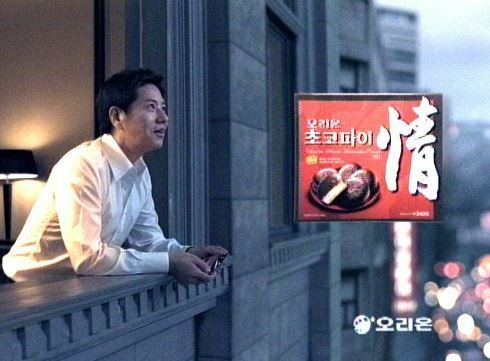 The ad, suggesting a pack of Choco Pie to be exchanged as a token of “jeong,” the special attachment or affection among Koreans, delivered the much-needed lift in sales of Choco Pie in the ever-increasing competition from similar products that his rivals released. Tam was born to a Taiwanese family in Daegu in 1955. He went to Korea Kent Foreign School where he met his future wife, Lee Hwa-kyung, the daughter of Tong Yang Group’s founder. Tam studied marketing in George Washington University and joined his father-in-law’s business, Tong Yang Cement, in 1980. A year later, he moved to Tong Yang Confectionery. His career was on a fast track to group vice chairmanship in 1983. In 2001, Tam separated the confectionery business from Tongyang Group and set up his own Orion Group. Later in same year, Tam became Orion Group chairman. Under Tam’s leadership, Orion expanded into dining, convenience store chains to film industry and cable channel. However, Tam is no longer involved in Orion’s management. Convicted of embezzling nearly 30 billion won of company funds, he was sentenced to 3 years in prison, suspended for five years, in 2013. According to The Superrich Team’s analysis, Tam’s stock assets from listed companies totals 58.8 billion won ($52.85 million) as of Sept. 16. He owns 12.83 percent of Orion. Shin is a Korean-American who moved to the US when he was 9. He is the nephew of Hong Seok-hyun, a media mogul who owns JoongAng Media Network and the JoongAng Ilbo newspaper. He studied at the Wharton School at the University of Pennsylvania and worked for McKinsey & Company. In 2007, he founded an online advertising venture, Invite Media, which is now a part of Google. In May 2010, Shin founded Ticket Monster in Seoul. Shin sold off his entire stake in Ticket Monster to the US-based e-commerce enterprise, LivingSocial in 2011. Last year he reacquired a 59 percent stake in the firm, along with private equity fund KKR and Anchor Equity Partners, to take over the company’s management. Ottogi Chairman Ham Young-joon has a musical actress daughter, Ham Yeon-ji. The 24-year-old Ottogi scion appeared on television commercial last year to promote the family-run food company’ flagship ready-made curry. In the ad, she dines with fellow musical actor Lim Tae-kyung. The first child of the Ottogi chairman, she studied acting at New York University Tische School of the Arts. She made her stage debut in 2014, playing Scarlett O’Hara in a local musical production of “Gone with the Wind.” She played Maria Magdalena in “Jesus Christ Superstar.” She is currently starring in a musical adaption of a Korean web cartoon series, “Infinite Power,” which opened in Seoul on Sept. 4. According to chaebul.com data released on Sept. 6, Ham’s Ottogi shareholdings are valued at 36.6 billion won ($32.9 million). A tall, long-haired young woman bungee jumping off New Zealand’s highest Mokai Bridge on a Korean Air commercial aired in 2010. That woman was Cho Hyun-min, vice president of Jin Air, Korean Air’s low-cost offshoot, and the youngest daughter of Hanjin Group Chairman Cho Yang-ho. 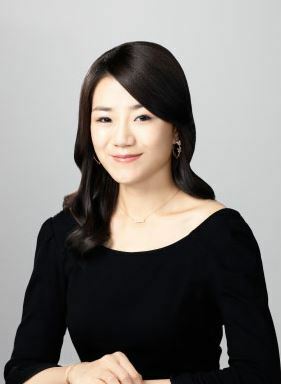 The junior Cho, who briefly worked at an ad firm before joining her father’s business, was deeply involved in the flag carrier’s TV ad series “How far have you flown?” The series gained popularity among young Koreans, encouraging them to venture overseas. She volunteered for the jump, while overseeing the filming of the commercial in New Zealand. Cho earned her bachelor’s degree at Southern California University in the US and an MBA at Seoul National University Business School. She started her career at LG Group’s advertising agency, LG Ad (now renamed HS Ad), then moved to Korean Air’s public communications department. Cho holds 2.48 percent of shares in Hanjin Kal, the holding company of Korean Air and Jin Air. Including the unlisted company shares, her stock wealth is estimated at 33.69 billion won ($30.2 million), according to chaebul.com.